Mergify: Is your honey pure ? We all love to eat honey but have you ever think of the purity of honey you are having ? We have many scientific methods to determine purity of honey but these methods include various chemicals like aniline chloride, ether, etc. Here, I'm going to tell you a method which is simple and can be carried out anywhere and everywhere ! A cotton wick dipped in pure honey when lighted with a matchstick burns and shows the purity oh honey. 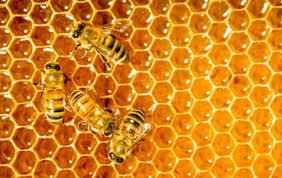 If adulterated, the presence of water will not allow the honey to burn. If it does, it will produce a cracking sound. Generally honey is adulterated by adding a syrup of jaggery. Pure honey does not dissolve in water but impure honey dissolves. So to test it mix a spoon of honey in a cup of water and find out whether it dissolves to check its purity.